A key aspect of service robotics for everyday use is the motion in close proximity to humans. It is essential that the robot exhibits a behavior that signals safety of motion and awareness of the persons in the environment. To achieve this, there is a need to define control strategies that are perceived as socially acceptable by users that are not familiar with robots. In this paper a system for navigation in a hallway is presented, in which the rules of proxemics are used to define the interaction strategies. 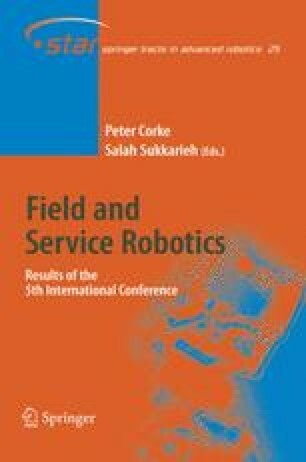 The experimental results show the contribution to the establishment of effective spatial interaction patterns between the robot and a person.